The La Plata series simple design and modest volumes allows you to travel light in the mountains without compromising durability. 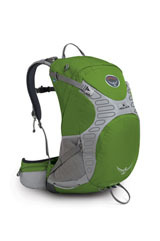 Osprey heard that certain outdoor programs were aligning with the new lightweight trend in the industry. They saved weight by simplifying the features not the technology. 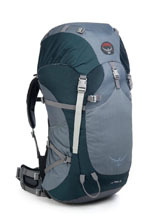 The end result is a sturdy pack that moves light on all your adventures. Interchangeable hip belts and harnesses and three pack sizes give every participant a custom fit. Durable 420HD nylon and 210D double rip stop nylon with 1000D nylon bottom fabric, 1.5mm HDPE frame sheet with 20mm 6061 T6 removable aluminum stay, Top pocket easily converts into lumbar pack with webbing hip belt. Designed for day hiking and scrambling, the Stratos 34 offers convenient utility in a large panel acess daypack. A single ice ax attachment, large front zippered pocket and zippered mesh hipbelt pockets keep gear organized. The Stratos 34 pack features a spacer mesh harness and hipbelt. Their AirSpeed suspension incorporates a 3D mesh backpanel and LightWire frame. 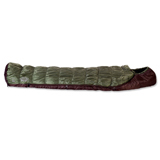 The Sierra Designs LT Strike 2 is perfect for thru-hikers and long distance backpackers. 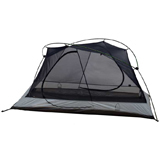 This ultra-light tent has two doors, two vestibules and a generous amount of interior space. Full mesh walls provide plenty of ventilation, while the SuperSeal Floor and a full coverage fly provides shelter for when the weather gets rough. 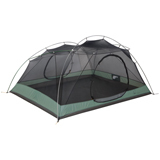 Perfect for extended backpacking trips in Havasupai and the Grand Canyon, the Sierra Designs Lightning XT 3 has a peak height of 46" and a total footprint of 42 square feet. Also, full mesh walls lighten the load and provide plenty of bug free ventilation when you want to watch the stars, but keep those pesky desert creatures away. A great year-round bag or a three-season choice for cold sleepers, this bag combines HeatSync continuous-filament insulation with Flex technology to deliver tough to beat quality in a light, durable design. No matter if you're a back, side, or stomach sleeper, Flex technology provides a comfortable nights sleep by keeping the insulation against you, thus minimizing voids. Just because you're in the wilderness doesn't mean you should give up certain creature comforts! The Therm-a-Rest compressible pillow is one of those comforts that can be the difference between a good nights sleep and tossing and turning all night long. Compression sacks are perfect when you need to save space in your backpack. CenterFocus provides you with two Outdoor Research Ultra Light compression sacks, one for your sleeping bag, and another for your clothes. When you're out in the backcountry, comfort is important. Unfortunately making sure your pack is light is also important. CenterFocus chose the ProLite Plus to solve this problem. 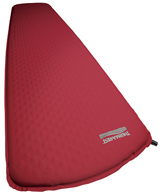 This full length mattress provides plenty of thickness to keep you comfortable, but doesn't weigh you down. 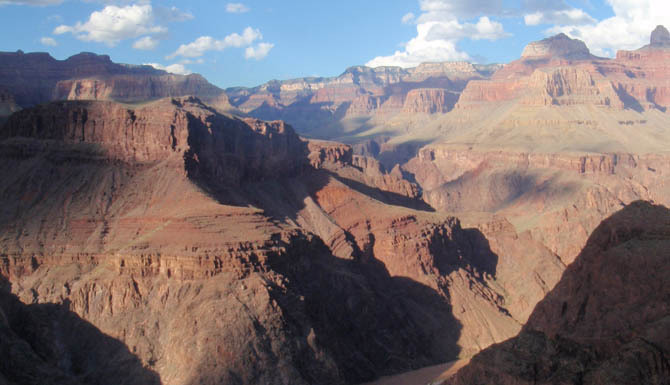 Trekking poles are a necessity for hiking and backpacking in the Grand Canyon. 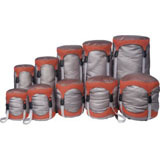 They help provide stability when you're carrying a pack, especially on uneven ground. 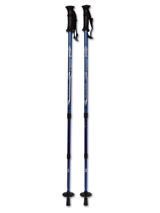 Trekking poles have been found to reduce up to 60% of knee strain which helps reduce the potential for injury. Anyone who spends enough time in the backcountry knows how crucial it is to have a bright, reliable headlamp. This easy to use, push-button gem provides three lighting levels, and weighs less than 3 ounces. 4 LED's provide even lighting throughout your field of vision with no blank spots in the beam. After destroying dozens of Camelbacks over the years, our guides discovered MSR Hydromedary Bags. 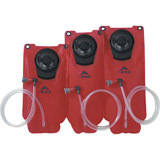 This hydration system is constructed of 200D cordura to withstand the abuse that extended trail hiking can throw at you. Making sure that you have enough water is crucial in the Grand Canyon. The last thing you want is your hydration system to fail. 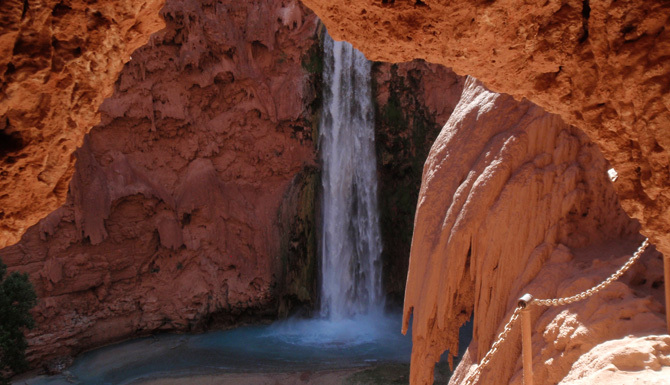 3 Liters of water just isn't enough in the Grand Canyon. That's why CenterFocus uses Platypus Softbottles to make up the difference. These handy water bottles weigh almost nothing, take up almost no space, yet each of them provides an extra liter of water. 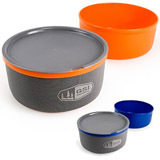 This handy mug / bowl combo by GSI is great for the backcountry. The mug is insulated to keep your coffee hot on cool canyon mornings, and the bowl is actually big enough to hold a full portion of food. When you're done, the two of them nest together in a perfect synergy of culinary tableware.